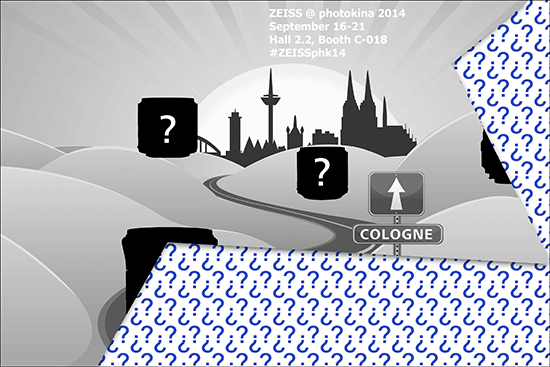 Zeiss is teasing the announcement of 2 new lenses for Photokina 2014. In the image above you can see the 2 Loxia lenses that have already been announced, and 2 new lenses. One might be the rumoured 85mm f/1.4 Otus lens. A 24mm f/1.4 Otus is also possible. Maybe these are the 2 lenses Zeiss is going to announce. [CW1] Canon working on a professional underwater camera?